SYDNEY - Apple Inc’s iPhone 8 launch in Sydney, one of the first cities to access the product in Australia, saw a bleak turnout as fans held out for the soon-to-be-released premium iPhone X. 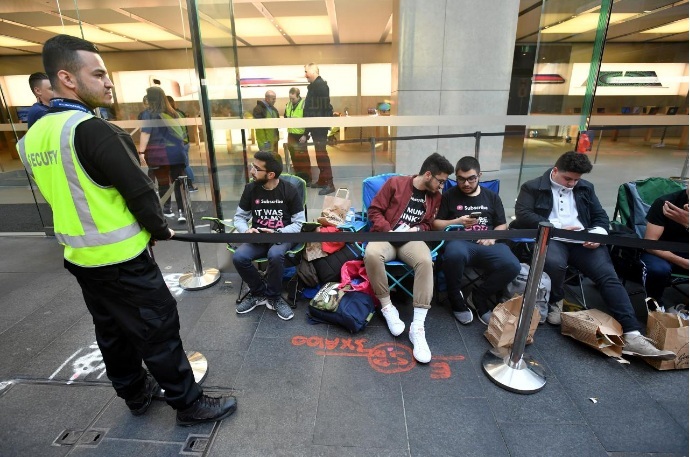 Hundreds of people usually gather at Apple’s Sydney city store with queues winding down the town’s main street, George Street, when there is a new product release. On Friday, there were fewer than 30 people lining up before the store opened, according to a Reuters witness. Mazen Kourouche, the first in queue after lining up 11 days outside the store so that he could buy and review the product on YouTube, said there were modest refinements. “Yes there is a new iPhone coming in a couple of months and plenty of people would want that,” he said. Apple Inc’s iPhone 8 launch in Sydney, one of the first cities to access the product in Australia, saw a bleak turnout as fans held out for the soon-to-be-released premium iPhone X.